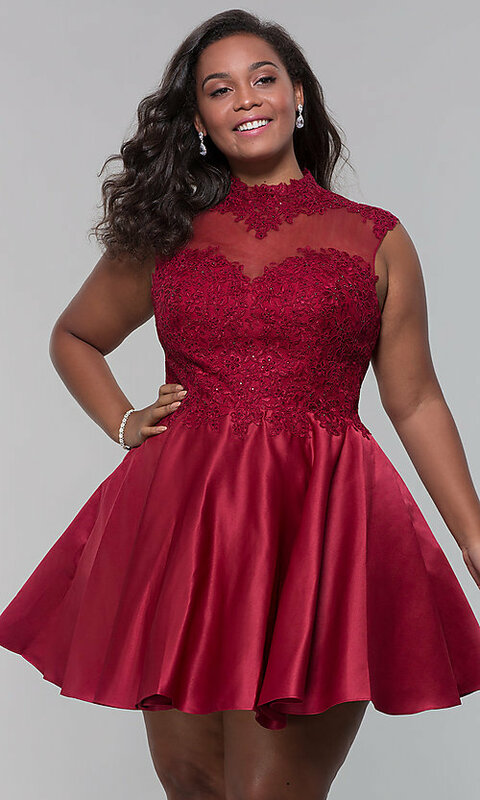 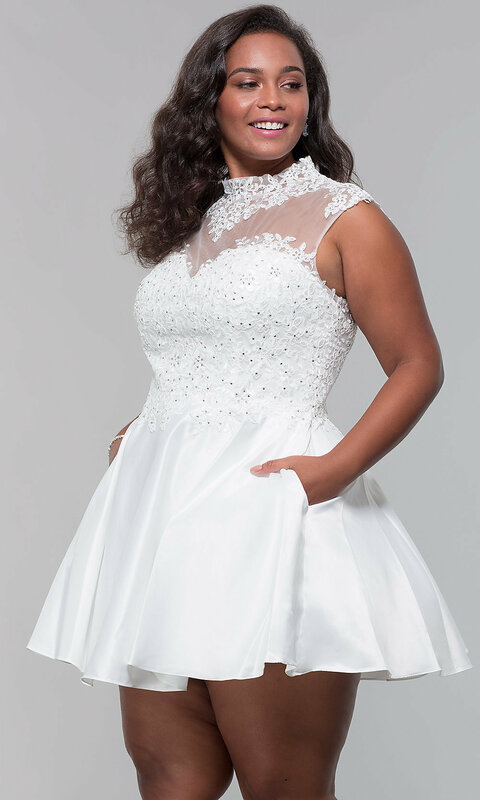 Here's a beautiful plus-size short homecoming dress with trending fashionable details for hoco 2019 celebrations, holiday parties, and other semi-formal events. 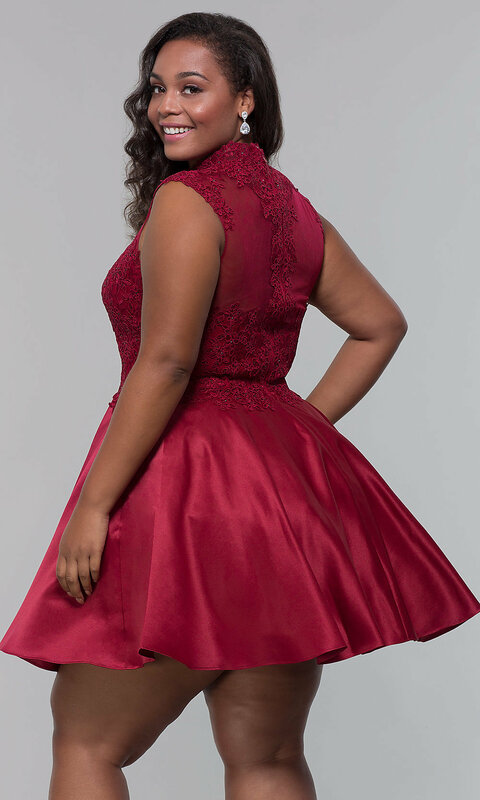 The short satin party dress features an illusion-sweetheart bodice with lace applique at the high neckline and cap sleeves. 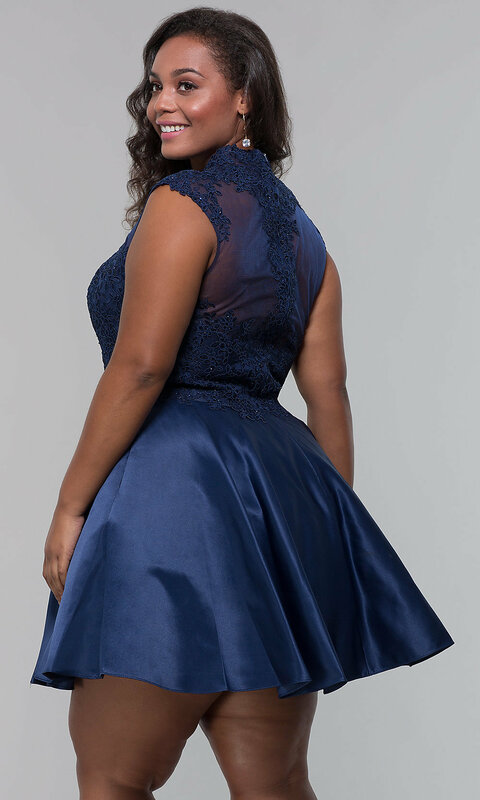 A lining with satin and tulle trim creates volume for the short satin skirt, while convenient side pockets allow you to leave the purse at home. 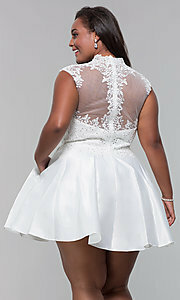 Under $150, this plus-size short homecoming dress is both affordable and richly designed for your exciting evening.